Leading Manufacturer of digital weighing machine, weighing billing machine and retail scales for bakery shop from Chennai. 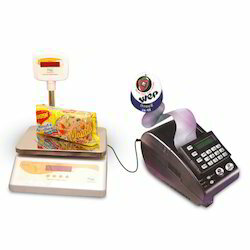 We are counted among the prestigious traders, suppliers and distributors of superior quality Weighing with Billing Machine. Procured from genuine vendors, these machines are manufactured in compliance with industry set norms and parameters at our vendor's end. Known for user friendly designs, load cell based scale and simple functionality, offered scales are highly demanded around the nation. Provision 10 include VAT, Tax, CST,Discounts elc. Billing done deal alphabetically through item code. 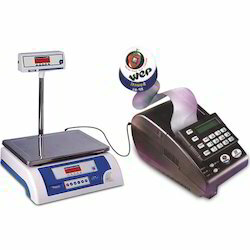 Our enterprise is instrumental in the trading, supplying and distributing of best quality Weighing Billing Machine. Made from quality grade raw materials under strict supervision, these machines are obtained from trustworthy vendors. Offered machines are acknowledged for their hassle-free installation, optimum performance and high durability. 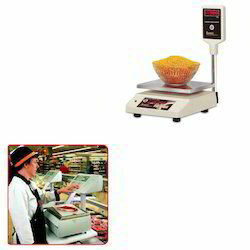 We are counted among the prestigious traders, suppliers and distributors of superior quality Retail Scales for Bakery Shop. Known for its overload protection, the offered product is widely considered in the market. The offered product is further highly regarded for its low power consumption and overload protection.